The decision means the Department of Homeland Security alone will have the discretion to decide whether to release immigrants who crossed the border illegally and later claimed asylum. The ruling effectively blocks concerted efforts by immigration lawyers and immigrant rights advocates to push for bond hearings for detained asylum-seekers. The advocates argue that there’s no reason for the United States to detain people who are seeking safety and have already cleared hurdles to prove they have a credible case. While advocates argued that bonds set for detained asylum-seekers were often prohibitively high, a number of crowdfunding efforts in recent months had aimed to help immigrants get money to pay bonds and get out of detention. Asylum seekers who presented themselves at legal ports of entry were already unable to be released on bond by immigration courts. On October 12, 2018, the attorney general “directed the Board of Immigration Appeals to refer Matter of M-S- for his review,” according to a Justice Department fact sheet. 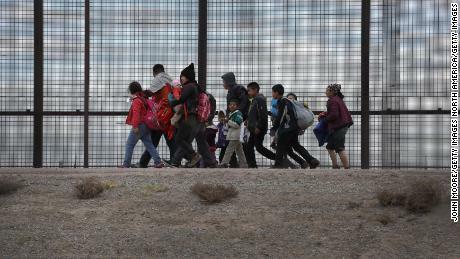 Barr’s ruling could likely affect thousands of migrants apprehended at the border, many of whom are seeking asylum and would be subject to expedited removal. Barr’s decision marks the first time he’s used his position to overrule precedent-setting decisions in immigration court — a power the US attorney general has because immigration courts are not independent and are part of the Justice Department. His predecessor, former Attorney General Jeff Sessions, used this power to make major overhauls on immigration policies, including a decision that makes it harder for domestic violence victims to win asylum cases. “It’s an extension of the Jeff Sessions campaign to further strip the immigration courts and immigration judges of their authority,” said David Leopold, Counsel to DHS Watch and former President of the American Immigration Lawyers Association. It’s a “senseless decision” given the already “overburdened system,” said Leopold, adding that the appearance rate in court is “very high” for people who have established a credible fear of persecution. The ruling takes effect in 90 days. Barr’s decision comes as the administration deploys a range of strategies to deter what officials say is an influx of families crossing the US border and seeking asylum.